When I was a young woman, and living in my first house, somehow it got out in my neighborhood, that I was the lady who loved animals. Soon all the kids in the neighborhood (and some of the adults too) would bring me their pets or hurt wildlife who had minor wounds and I would help them the best I could. I always told them that I had no medical training and sometimes I would tell them to take their pet to the vet because it was beyond my expertise but if I could help them, I would. That’s when I made up my very first pet first aid kit. 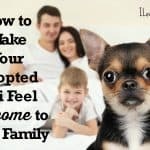 Now a days you can easily buy them and you might want to do that with your first one. Eventually though, you will need to refill it. My favorite one is here. 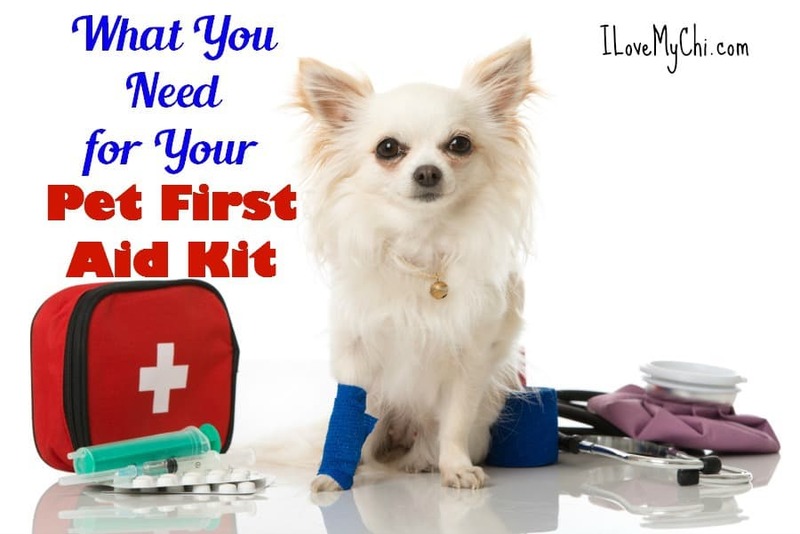 It’s so important for dog owners to have a first aid kit in the house for your fur kids. 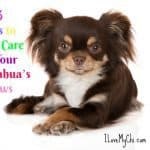 Items in first aid kits will mostly take care of minor wounds, but there is some medication that you can keep in your kit to help your dog as well. 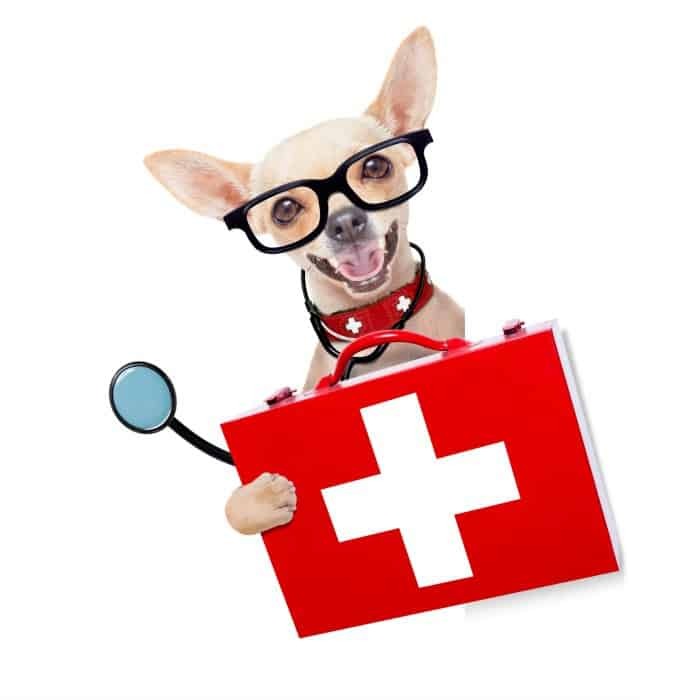 First aid kits allow you to quickly treat your dog in case of an emergency, before you can take them to an emergency or regular veterinarian. If you don’t have any medical experience, it would also be beneficial to take a first aid class, so when the time comes that you need that kit, all of the tools won’t be useless. A first aid book for pets is a good idea too. What do you need to put in a first aid kit? First, you’re going to need items for any cuts, gashes, or nicks. For this, you don’t want to use regular adhesive bandages like Band-Aids. Use the non-sticking bandages that you can wrap around the wounded area, so when you or the vet takes it off, it won’t take a big clump of fur with it. Be sure to have gauze in case of any bleeding injuries. You should also have some blood clotting solution or powder, so you can stop the bleeding faster. ClotIt is the one I would recommend though there are other good clotting products too. ClotIt actually sells a full animal first aid kit in addition to their blood clotting products and you can find that here. Consider the age of your dog. For puppies, bleeding injuries are more serious, because they have less blood in them. It’s extremely important that you stop any continuous blood flow immediately on your puppy. Puppies may also be more likely to throw a fit when you’re trying to treat them, so a few tranquilizers may be useful as well. Be sure that the tranquilizers aren’t too powerful – you don’t want your dog to overdose on medications that were meant for 100+ pound dogs. 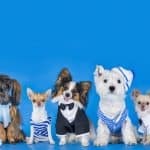 For adult dogs, tranquilizers shouldn’t be necessary if you’ve raised them to be calm. However, even the best behaved dogs will sometimes freak out if they are in pain. 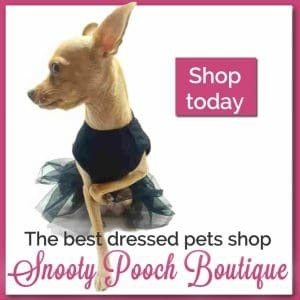 You will need to get the tranquilizers from your vet but in a pinch, you can use Benadryl (spaced 8 hours apart and 1mg per pound of body weight). You can see what other medicines you can use here: Human Medicines Safe for Dogs. Tranquilizers can help you when you need to wrap wounds where your dog may not like being touched. For example, if your dog is sensitive about having their legs touched, then he or she may bite and be uncooperative when you’re trying to wrap it while they’re scared and in pain. Can you think of anything else that should be in there? Leave a comment and let me know what I should add. 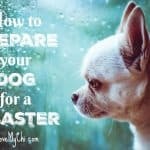 Be sure to read How to Prepare Your Dog for Disasters. 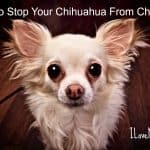 Can i buy a first aid kid for Chihuahuas somwhere? 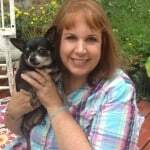 Hi Bronya, They don’t come breed specific but any of the pet first aid kits will be for Chihuahuas too. Click the link in the post that says “first aid kit” and it will take you to all of the pet first aid kits on Amazon. 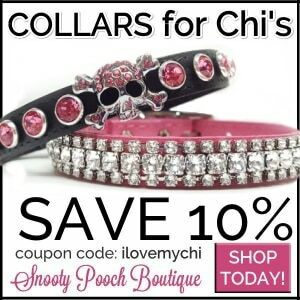 I’m sure you can get one from the larger pet stores too like PetSmart or Petco.